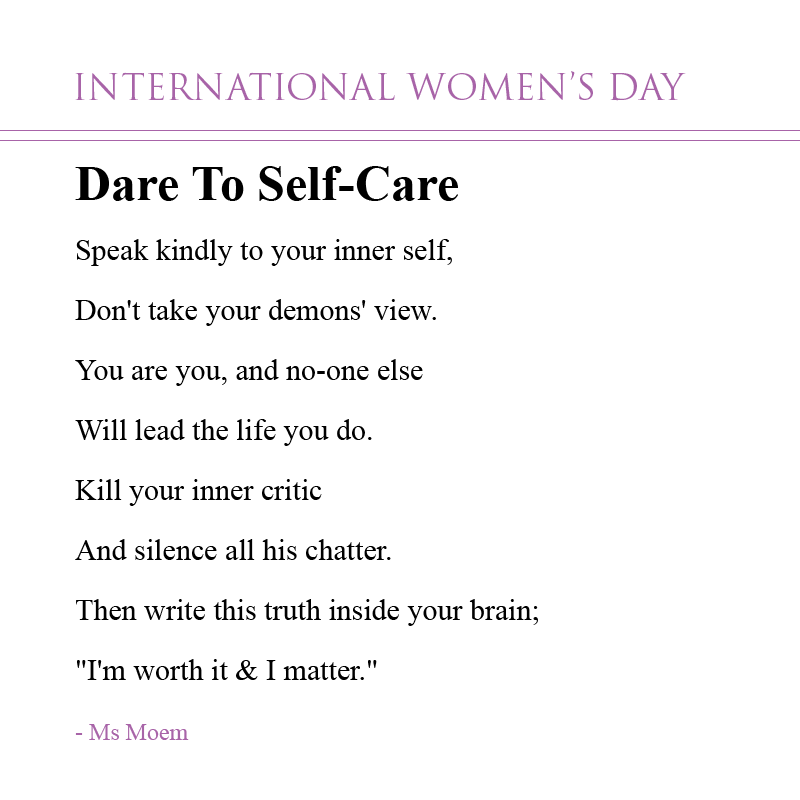 international women's day Archives | Ms Moem | Poems. Life. Etc. 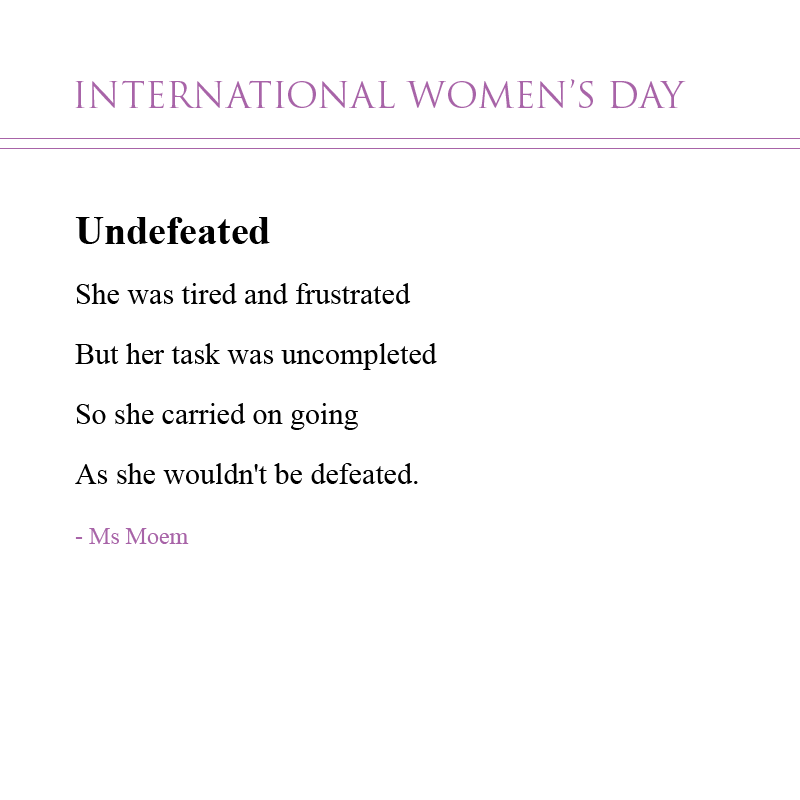 All International Women’s Day poems on this page are copyright Ms Moem. © All rights reserved. Be bold for change is the slogan of this year’s international women’s day. 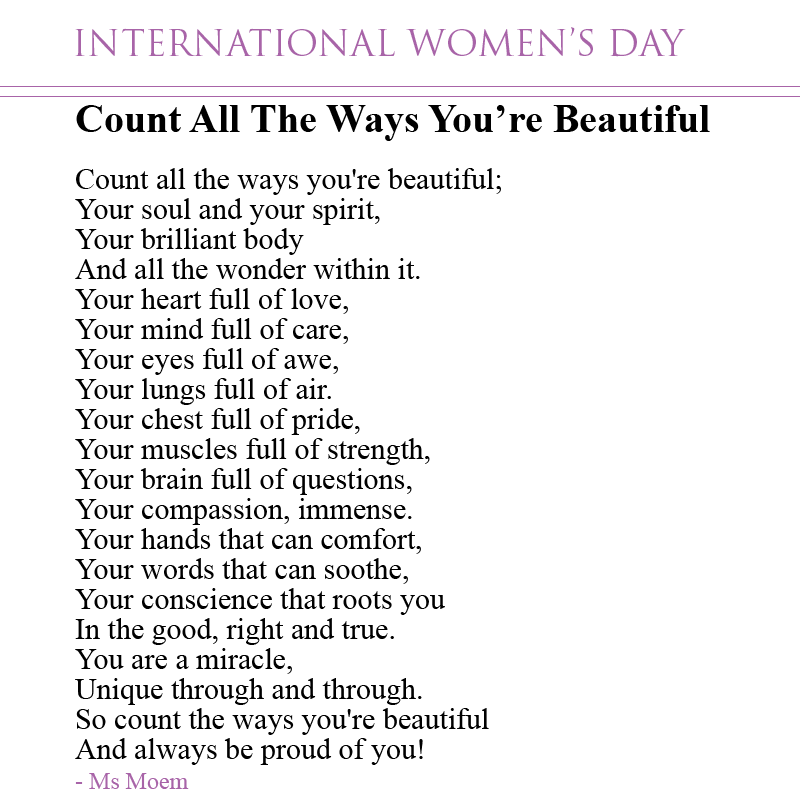 Celebrating women all around the world on this International Women’s Day! I believe the official theme is ‘Inspiring Change’. International Women’s Day is important to me, and not least because I have four daughters. Women should be holding out their hands to others and pulling them up. That is the first change that I would like to see. All life starts within women. We raise children. We build businesses. We support others. We put others before ourselves. We laugh. We cry. We talk. We stand up for what we believe in. There is power in the feminine. 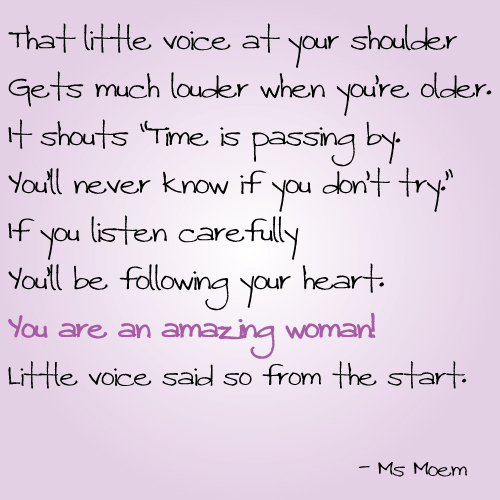 I would like to inspire the young women of today to know that they can do or be anything. I want them to feel the power of being a woman and never to feel held back by it. I want them to pass that knowledge down through the generations. I want them to know that they can be the change! I want them to listen to their little voices! I’d like the inspired change to mean more confidence, more adventure, more compassion. Sisters are not just doing it for themselves, they are doing it for all women, all around the world!